Impact Signs | Commercial Signs, Vehicle Wraps, Printing and More! - Looking for something specific? We can help you with your custom project. 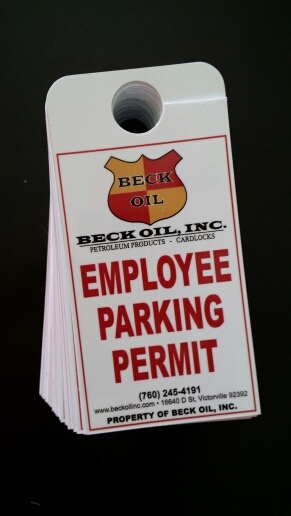 These hanging parking placards were designed to suite Beck Oil’s needs and budget.